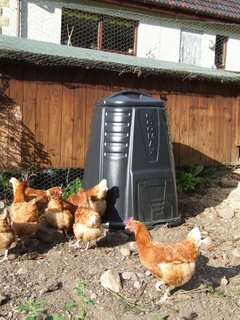 Our new compost bins from Highland Council arrived today. A white van backed it's way up the drive and we both stood there saying "I haven't ordered anything, have you?". When he opened up the back we realised what it was. 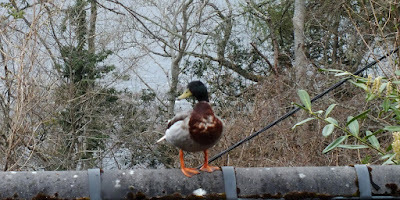 They seem a good size for £10 each, we've put one behind the garage and the other in the chicken run. The chickens have been told they have 10 days to lodge any objections in writting, or the bin stays. Hopefully this means we'll have all our own compost from now on.